Whether you wear it every day or only occasionally, your watch is an instrument that requires care and attention. 1.Try to keep your watch away from smartphones and computers, loudspeakers or refrigerators, since they generate powerful magnetic fields which may have an effect on your watch’s movement. 2. In order to preserve the shine of the polished surfaces and precious stones found in your watch, avoid wearing a bracelet on the same wrist. 3. Try to avoid leaving your watch in any extreme temperatures (greater than 60°C, or 140°F, less than 0°C, or 32°F), as they will cause your watch to gain or lose time and shorten the life of your battery. 5. To prevent premature wear and tear of the bracelet, do not wear your watch when sleeping. 6. To protect its movement from vibrations or temperature differences that might damage it, you are recommended not to wear your watch playing sports such as golf or tennis or taking part in activities such as saunas. 7. Whether your watch is water-resistant or not, you can clean it with a soft, dry cloth. 8. Do not submerge your watch under water unless it is water-resistant (see case back). After salt water use, rinse watch under tap water and wipe dry with a soft cloth. 9. Your watch is designed to withstand impact under normal use, try to avoid shock whether physical, thermal or other. 10. To prevent corrosion in electronic components inside the case, never operate any of the function buttons or crown when the watch is submerged in water. A watch needs regular servicing to ensure that it functions perfectly. We cannot indicate the frequency of such work since it depends entirely on the model, the climate and the owner's individual care of the watch. When the watch is underwater or wet, never use the pushers/bezels, or set the time. Watch cases and metal bracelets should be rinsed thoroughly in fresh water after being in salt water. No hot tub/sauna. Please do not take your watch into the hot tub/sauna. The combination of extreme heat and water may cause your watch to lose some of its water-resistance. No backward hand, or date, adjustments should be made when the analog hands read between 8 PM and 3 AM. At these times, the gears are too close together and such a change could cause damage. Tighten screw lock crown completely. Always set the crown in the normal position. If your watch is equipped with a self-winding mechanical movement, have the bracelet adjusted by an i-watch sales associate in order to ensure the optimal working of the movement. The average lifespan of your battery is between two and three years. We advise you never to leave a used battery inside your watch, since its deterioration may lead to the deterioration of the whole movement. To change a battery, entrust your watch to an i-watch After-Sales Service or at an authorized dealer’s. 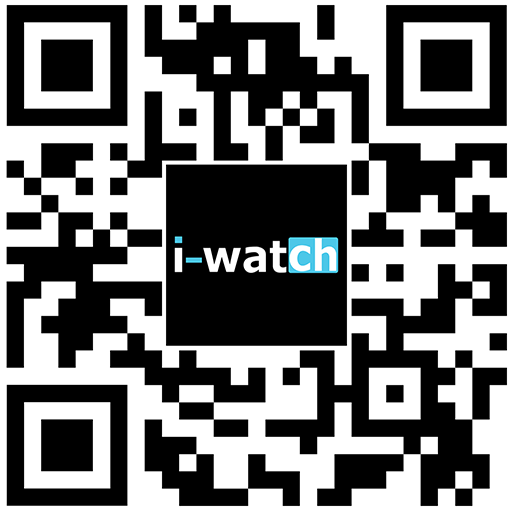 As part of the battery changing service, and as required by the i-watch warranty, whenever a watch is opened, the i-watch technician will also test the water-resistance of your watch. We recommend you to entrust the changing of your watch’s metal strap to an i-watch-authorized After-Sales Service. Wipe off moisture and sweat as soon as possible by gently rubbing it with a soft dry cloth, and place it in a well-ventilated area after removing it from the wrist. Using your leather strap in normal conditions ensure an average lifespan of between six and twelve months. We recommend you to entrust the changing of your watch’s leather strap to an i-watch-authorized After-Sales Service. Before cleaning, please always ensure that the crown of your watch is not pulled out. To prevent rust, wipe off moisture, sweat or dirt with a soft cloth. To wash the band, apply neutral detergent (mixed with some water) to metal bands / bracelets when stains on the surface are noticeable. For heavy stains, use a tooth brush and remove the stain that has accumulated in the gaps of the band / bracelet segments. Protect the watch head from moisture entering the watch by wrapping it in plastic wrap etc. After washing, take special care to wipe the gaps of the band/bracelet segments with a towel and dry the entire watch. When the strap loses elasticity, we recommend you to entrust the replacement of your watch’s rubber strap to an i-watch-authorized After-Sales Service. If you continue to use the band as it is, it may develop cracks or become brittle over time.